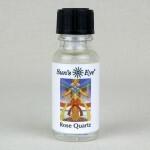 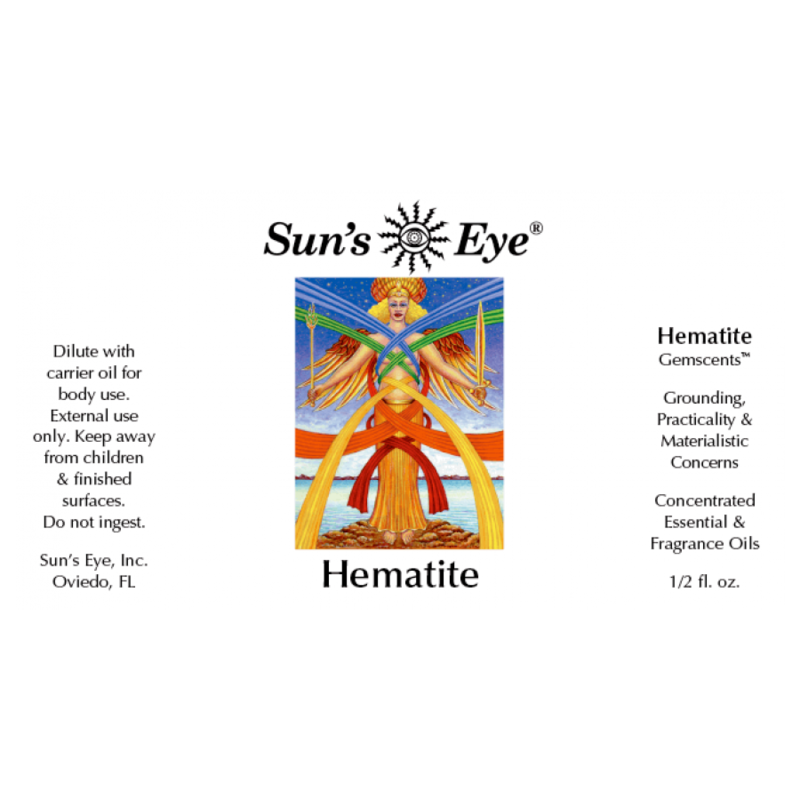 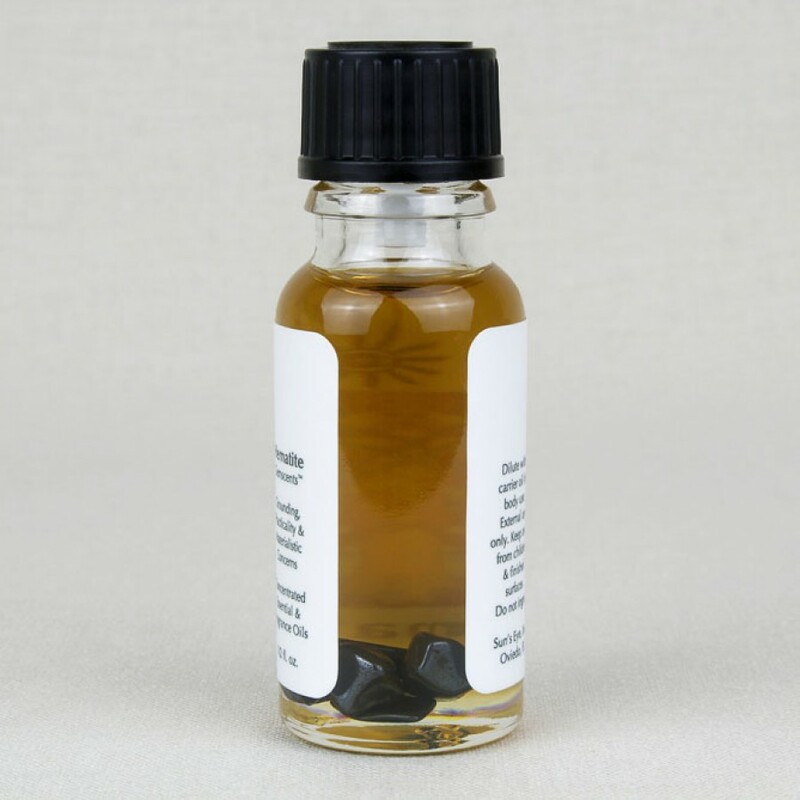 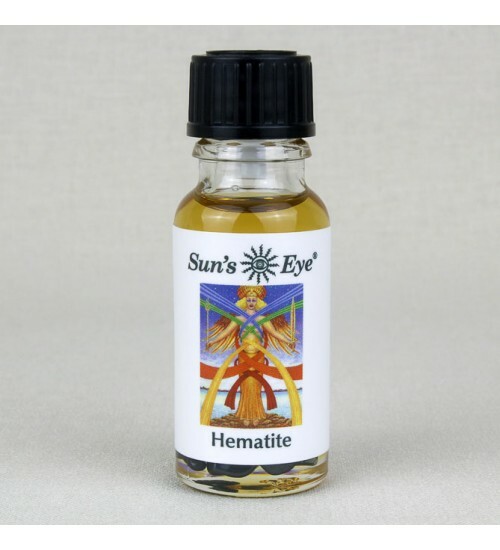 Hematite Oil has Hematite Chips with earthy top notes in a base of Vanilla formulated to encourage grounding and practicality dealing with material concerns. Item Number: SE-HEM | Approximate Size (Inches): 0.50 wide x 0.50 deep x 2.00 high | Approximate Shipping Weight: 0.50 lbs. 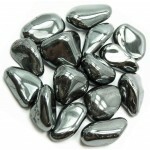 Beautiful, and often used in jewelry, tumbled hematite has a metallic grey-..